You probably use a small group of apps every day: Chrome or Safari, Mail, Word, and so on. But what about the software you use less often? Many apps are essential for a specific task, but you might only need them twice a year. That’s where Setapp comes in. 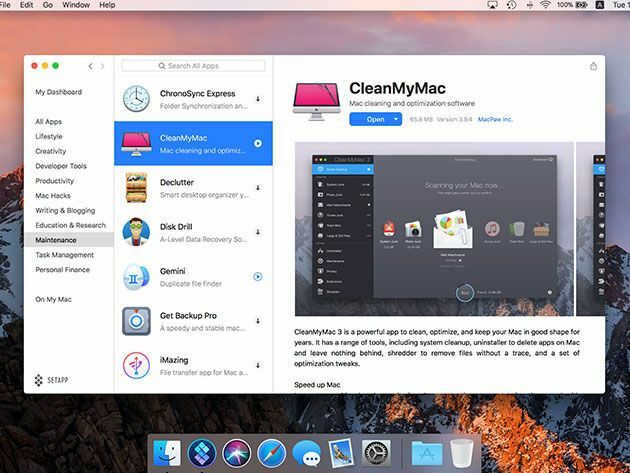 This subscription service gives you unrestricted access to 100 top quality Mac apps for a fixed price. Right now, you can get a year-long subscription for $69 via MakeUseOf Deals. You can think of Setapp as your personal app library. Instead of buying software off the shelf, you simply install whatever you need. As a subscriber, you get access to a range of great creative apps, developer tools, useful utilities, and more. There are no restrictions on what you use — this is an all-you-can-download buffet. For instance, you could build a personal website at the weekend with Rapidweaver or download Ulysses and start writing your first novel. Journey could help you keep your travel diary, while MoneyWiz will track your personal finances. Setapp also lets you edit videos with CameraBag Pro, code apps in Espresso, and find the perfect audio mix via Boom 3D. You get the latest version of every app, and there are no in-app purchases or annoying ads. It’s worth $119, but you can currently grab one year of Setapp for $69 — that’s a huge 42% off.